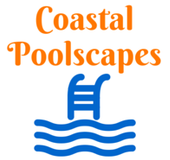 Coastal Poolscapes is the premiere Full Service Pool Contractor. We serve the Hampton Roads area of Virginia, including Virginia Beach Virginia, Chesapeake Virginia, Portsmouth Virginia, Norfolk Virginia, and the Hampton Roads area. Additionally we provide Vinyl Pool Liner Replacement, Pool Liner Repair, and Pool Liner Installation as well as Pool Deck Installation, Pool Deck Repair, Pool Deck Resurfacing, Pool Deck Remodeling, and Pool Deck Repainting. We can build saltwater, vinyl lined pools, fiberglass pools, or gunite pools in many shapes and sizes. Additionally, we can complement them with the perfect pool deck, patio, fire pit, pool liner, pool cover or water features such as slides, fountains, or waterfalls. Just pick up the phone right now and call us right now... It's that simple! Call 757-367-8908 We'll be happy to serve you!